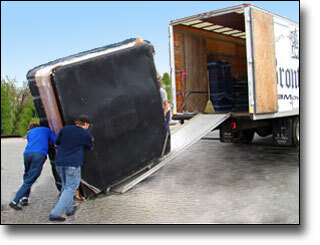 Bronte Movers offers moving services for residences and offices. Local Moves within the Oakville, Burlington and Toronto area. 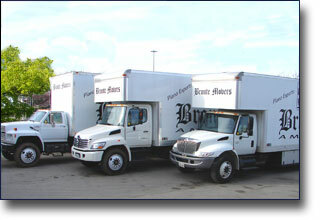 Bronte Movers has been serving our region of southern Ontario since 1975. Local moves are typically calculated by the number of workers and hours needed for your move. Please Contact Us for a free estimate for your next local move. Our agency agreement with Great Canadian Van Lines allows us to provide competitive pricing and access to a nation-wide network. This affiliation is also a mark of our reliability and competency in the moving business. Please see Long Distance Moving for more information. Please Contact Us regarding the special documentation required for cross-border moves. We will be able to walk you through all the steps of such a move and deliver your items safely to your new home. Your choice regarding the level of packing service will depend on personal preference, time and budget constraints. Please Contact Us to customize a packing arrangement that works for you.